Over the past thirty years, the name "Dr. David Cain" has become synonymous with creativity and innovation in plant breeding. After earning his undergraduate degree in plant and soil science from the University of Maine in 1972, Dr. Cain did ground-breaking work in breeding techniques for stone fruit, strawberries and blueberries at Michigan State University while earning his doctorate. As a research scientist for the U.S. Department of Agriculture, Dr. Cain took the lead in creating new varieties of table grapes and seedless raisins. Then, in 1980, he joined the faculty of Clemson University, where he developed several widely planted peach varieties and initiated collaborative research that led to the development of Guardian Rootstock. 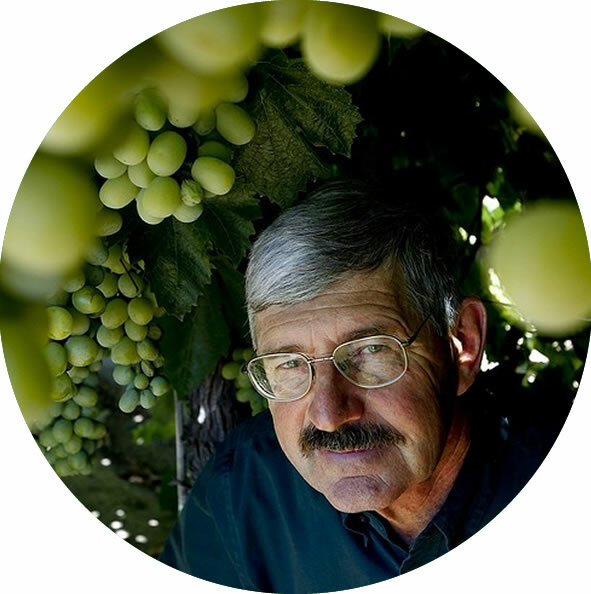 Dr. Cain managed the table grape and stone fruit breeding programs for Superior Farming before being named Vice President of Research and Development for Sun World International in 1990. The many successful varieties he developed for Sun World made him the most desirable choice to lead IFG®. Today, Dr. Cain is in charge of all fruit breeding for our rapidly expanding company.